Alessandro Solidoro boasts sound and thorough professional experience in managing business crises, in providing technical consultancy in litigations, governance and auditing activities for medium-sized and large organisations. He supports businesses by providing them with advisory and assistance in managing out-of-court and judicial procedures in connection to the risk of bankruptcy, insolvency, coordinating restructuring and debt consolidation transactions, as well as reorganisation processes for companies in financial distress. He aids corporations in the preliminary, executing and winding-up stage of insolvency proceedings. He produces certifications on the feasibility of debt restructuring transactions within recovery plans, restructuring agreements and proposed compositions with debtors. His experience has enabled him to assist the recovery of several companies in various industries, including real estate, mechanics, automotive, shipbuilding, food, textile, fashion and film, restructuring corporate liabilities for amounts greater than Euro 150 million in each individual case. He assists his customers – domestic and international industrial, commercial and financial companies, banking groups alongside their stakeholders – in civil proceedings whose objects are damage claims or valuations of corporate assets in a general sense, and in criminal litigations. His expertise covers economic and accounting matters relating to banking transactions, financial instruments, contracts of carriage and agency agreements, valuations of specific assets or of businesses in their entirety, real estate, transport, publishing, food, new economy and fashion. He carries out counselling activities when verifying the technical aspects of liability actions against directors and statutory auditors, and the existence of conditions for corporate crimes and insolvency. Owner of Studio Solidoro established in 1994. A Master’s degree for Non-Executive Administrators of public listed companies organised by Borsa Italiana S.p.A. Member of the Scientific Panel of the review “Il controllo nelle società e negli enti” (Corporate and Public Auditing), Giuffrè Pubblications, Milan. Independent Advisor of the Supervisory Body, Member of the Internal Audit Committee, Member of the Risk Committee at Deutsche Bank S.p.A.
Chairman of the Board of Statutory Auditors at Alerion Clean Power S.p.A. Administrator appointed by the Judicial Custodian for companies being seized. 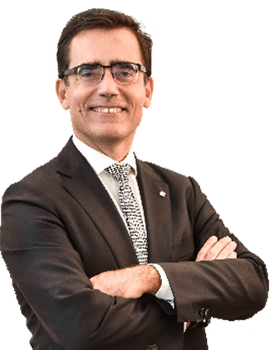 Within the scope of alternative measures for litigation settlement, Alessandro Solidoro has been member of the Board of Arbitrators in binding and non-binding arbitration in corporate matters. The experience gained has contributed to Alessandro Solidoro’s appointment to various roles in the governance for remarkably large companies. He is indeed member of the Supervisory Board and the Internal Audit Committee at an Italian Branch of a large international bank, Chairman of the Board of Statutory Auditors in a listed company operating in the renewable energy industry. He is also director or member of the Board of Statutory Auditors in companies operating in the food and real estate sector, as well as in Foundations supporting non-profit activities in the social and health world. On top of all this, Alessandro Solidoro provides advice in fiscal and corporate matters, in preparing financial statements in the event of extraordinary transactions of Group reorganisation. Alessandro Solidoro has written numerous articles published in several specialist journals and reviews covering issues on civil and bankruptcy law and taxation. He is also co-author of “Certification standards of recovery plans ” 06/2014 and, for some fiscal aspects, of editions of the “Bankruptcy Code”, “New Insolvency Procedures”, “Studies in memory of Umberto Azzolina”. He is also coordinator of the “Insolvency Proceedings in Milanese Case Law in the years from 2000 to 2003″ edition.